TheRustedChain - The Blog: Royal! One of the things I love about artisan jewelry is the variety. You'll find everything from the simplest piece to the most grand. This necklace fits the latter category and is FABULOUS! This beauty is by RoyalMarie and is a splurge, no doubt, but worth every penny! I'm loving the smoky quartz and turquoise combo. Wow such a pretty necklace!!! 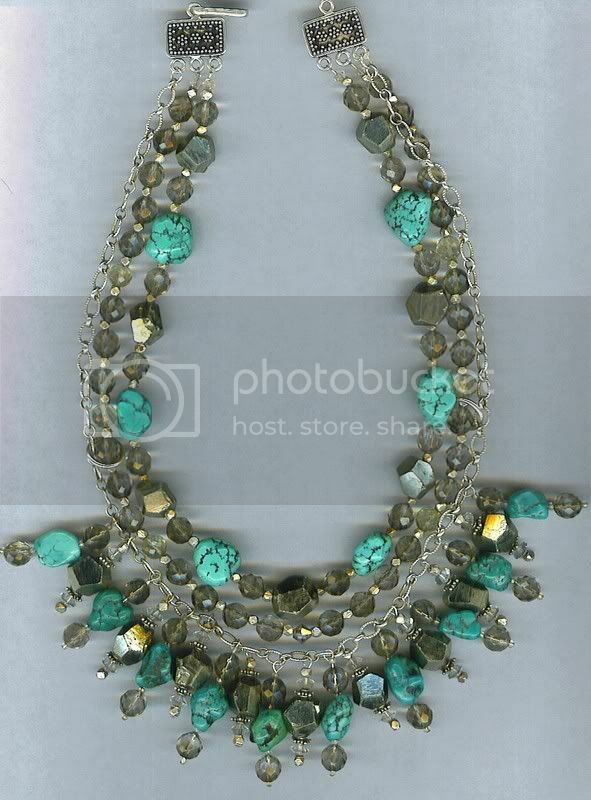 Stunning necklace!!!!! I don't even want to check the price! Hello my friend....I so agree...stunning. Hey my birthday is coming up...well.. next year. Just kidding. Hope you get it.